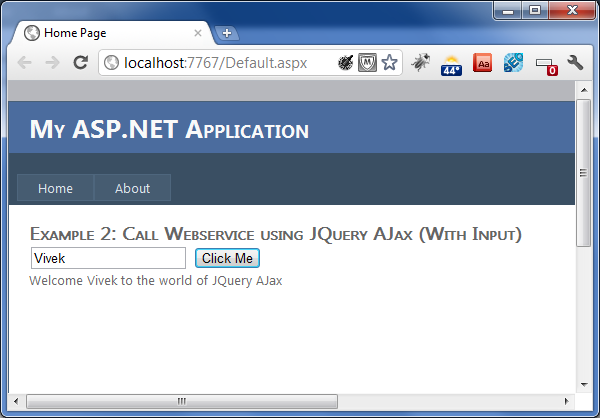 In this article, i will be calling asp.net web service using jQuery Ajax with Input parameter. If you are new to jQuery and don't know anything about it, I will recommend you to first read following article before reading any further. 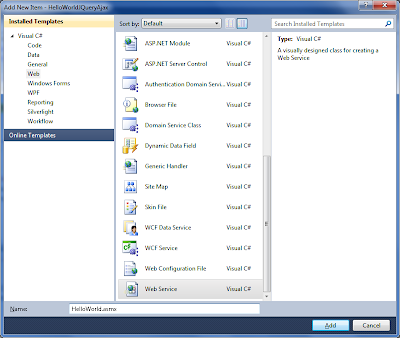 Step 2: Open Site.Master and include jQuery Reference by adding below line just before </head> tag. 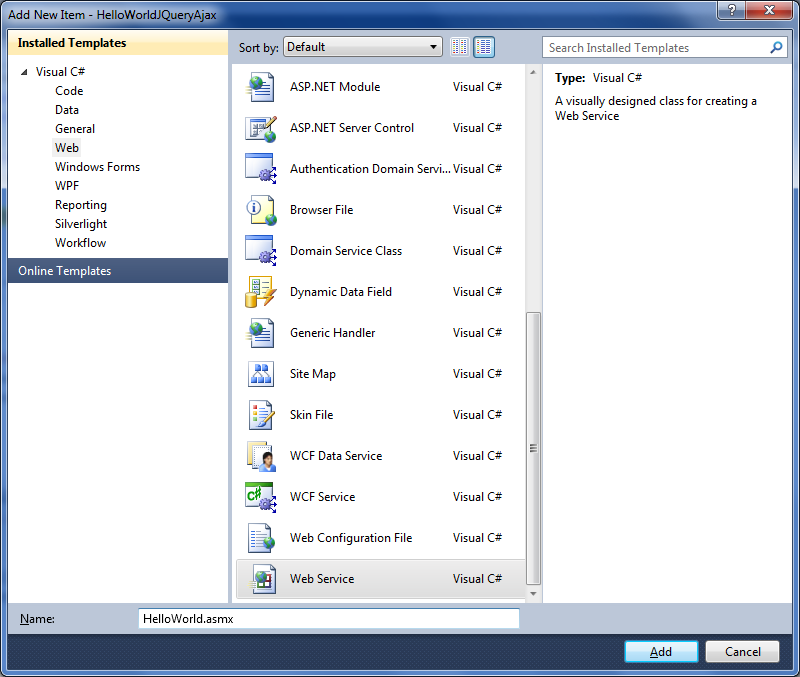 Step 4: Add new folder to solution named "WebService"
Step 5: Right click on "WebService" folder and click add new item, to add new web service. 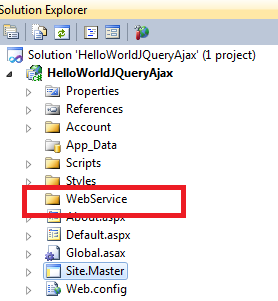 Step 7: Open "Default.aspx" and Write jQuery function to make webservice call to display greeting message. 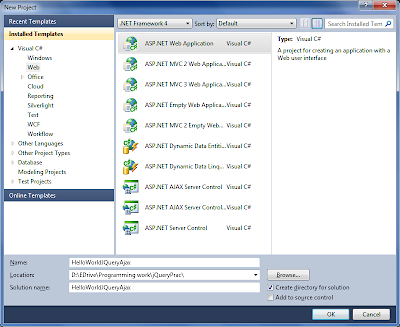 Now, run the web application and input your name and hit button to see greeting message. 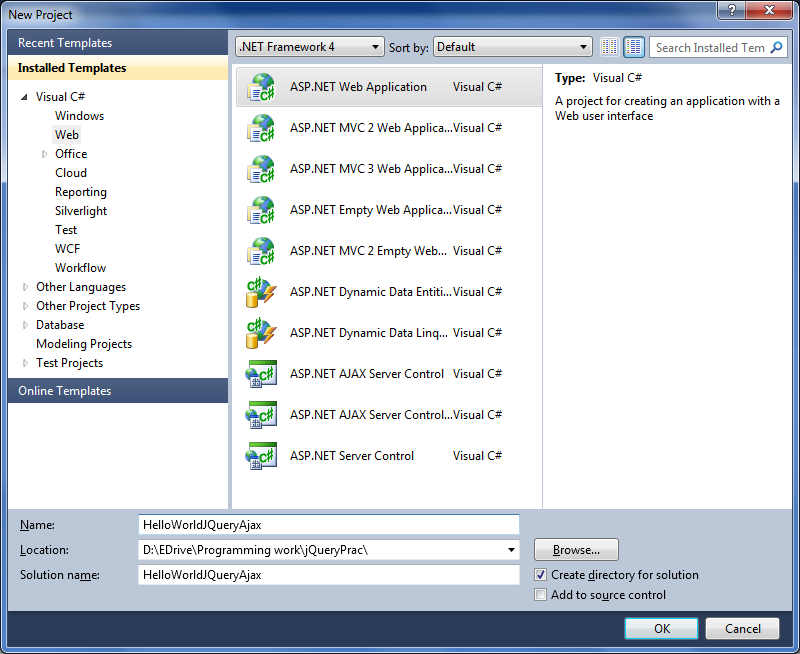 "Microsoft JScript runtime error: '$' is undefined" I appreciate your help.